Anthony Ranaudo was perhaps the most acclaimed prospect the Red Sox signed out of this year’s draft. Selected in the supplemental first round (39th overall) by Boston, Ranaudo was at one time considered the best arm in the draft and a potential #1 overall pick before having an up-and-down Junior year at LSU. An imposing figure on the mound at 6’7″, Ranaudo let LSU to a National Championship in 2009 by going 12-3 with a 3.04 ERA. 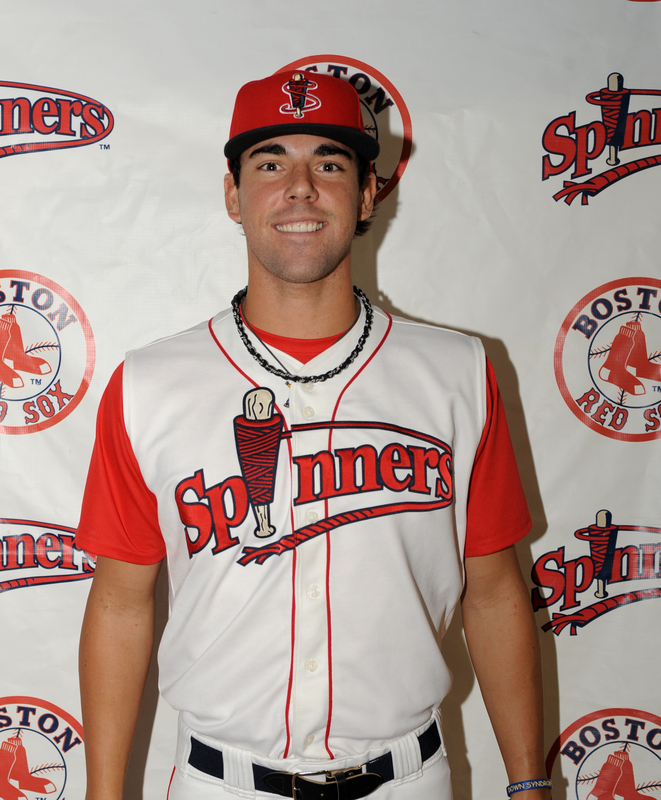 One of the most heralded prospects to be selected by the Red Sox in recent years, he ends his 2010 season in Lowell. While he will not see any action on the mound, Ranaudo will be in uniform and work out with the Spinners, getting acclimated to the life of a professional player. Anthony took some time with the Spinners Blog to answer some questions for his new fans. Can you describe how draft day was for you. Did you know that the Red Sox would be taking you? Did negotiations go right up until the deadline? I knew the Red Sox were interested, my advisor (Scott Boras) and me talked about the possibility and leading up to draft day I had some discussions with the team. I waited out draft day, was happy to be selected by Boston and then I kind of just went about my summer and looked to go out and pitch well. I really didn’t talk much to the team until right before the signing deadline, I got my physical done and we were able to reach an agreement pretty much right at the midnight deadline. Instead of continuing to pitch they decided to have me come up here and acclimate myself to the pros, meet the guys here in Lowell and really just learn about what being a member of this organization is all about. How hard was it to pass up your senior year at LSU? I love LSU, it wasn’t easy and there was actually a time where I thought I might be headed back there for my senior year. When it’s all said and done, professional baseball has always been my dream and I really wanted to get started on that journey to the major leagues. A chance to win at the highest level with one of the most storied franchises in sports was not something I could turn down. Speaking of LSU, can you tell us how you enjoyed your time there? What was it like to win the national championship? Awesome. You battle every day with guys that you play 75 games with and create great friendships with so it’s a huge team accomplishment to win it all. Winning 12 games and pitching the final game of the National Championship was a huge personal accomplishment for me but I was also glad I was able to be a vital part to such a huge accomplishment for the school and team. I’ll never forget those moments in Omaha, hoisting that National Championship trophy and just celebrating all the hard work is one of the best parts of my life. You missed some time this season with an elbow issue, do you feel like that hindered your performance this year and was it hard to deal with the adversity? It was just a minor setback and I took it really slow in terms of trying to overcome the injury and come back strong because I didn’t want to hurt myself more seriously. I bounced back strong and after missing a few starts I didn’t have an ounce of pain the rest of the year. It’s a complete non issue now and I think that pitching so well on the Cape proves that I am back 100%. This summer you pitched for the Brewster Whitecaps and were dominant in your five starts, what was your time in the Cape League like and do you feel like you had something to prove after your college season? I loved pitching down there, this was actually my second time pitching down at the Cape, I went there after my freshman year and pitched for the Yarmouth-Dennis Red Sox interestingly enough. You hear a lot about Red Sox Nation and I really saw the passion the fans have for baseball both times I pitched in the Cape. I had a great team this year in Brewster and was really happy to have such a strong performance (29.2 scoreless innings) after what I felt was a bit of an up and down season for me at LSU. I met a lot of great guys, got to spend about 5 of 6 weeks of my summer doing what I love in a great location so you can’t really ask for much more. Growing up, who were your favorite team and favorite player? You aren’t going to like hearing this but I was always a Yankees fan growing up but once I got to college I really didn’t pull for one team over another. I really became a fan of the game as I got older and followed the game as a whole as opposed to when I was growing up and watched the Yankees all the time. Don’t worry though, that’s all changed now that I’m here in Boston, I hope to be able to take part in the proper side of the Yankees-Sox rivalry. You were High School teammates with Spinners catcher Jayson Hernandez, did you ever think that you would end up playing together again? We never really thought of it until this year, we both talked about how this was our draft year and we both knew we were going to get drafted. We both became familiar with the some of the scouts and really thought there was a slight chance it could happen going into the draft. I was taken early on and I followed the draft tracker online afterwards and saw him get taken by Boston as well and got pretty excited. We are both pretty happy to be on the same team right now in the same organization on our way to what hopefully amounts to successful major league careers. He’s showing me the ropes down here and it would really be cool if we get to be battery mates again soon. You were originally drafted by Texas out of High School in 2007, did you ever consider signing back then? I did but I realized that I really wanted to go college and it really was the best decision of my life to go to LSU for those three years and be a part of a great program and mature. I came out of LSU a better pitcher and am more ready for the challenges of professional ball. Finally, a question we ask everyone, tell us something about Anthony Ranaudo that most fans would not know. I am really big into nutrition and its impact on the human body. I take my diet and work outs very seriously and I feel like it gets me ready to be my best on the mound.